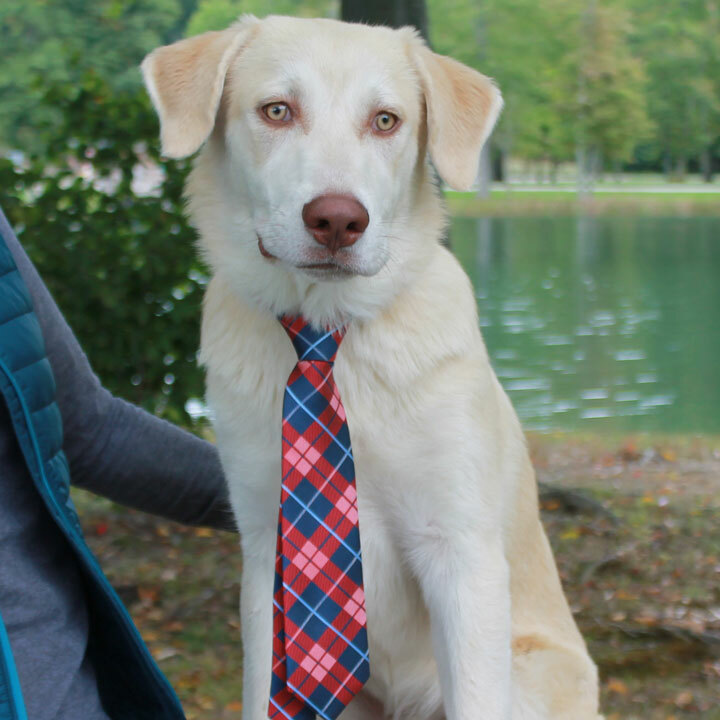 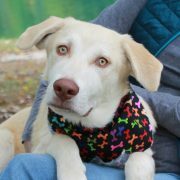 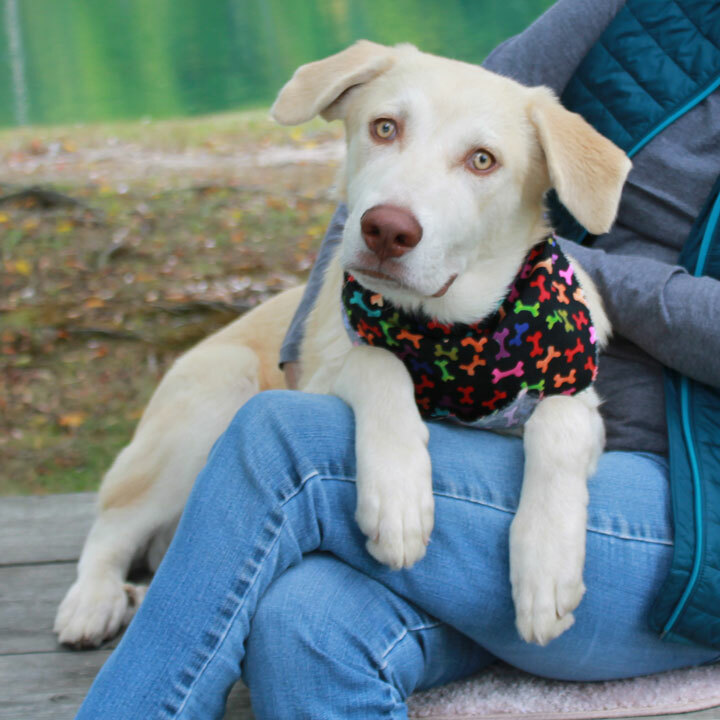 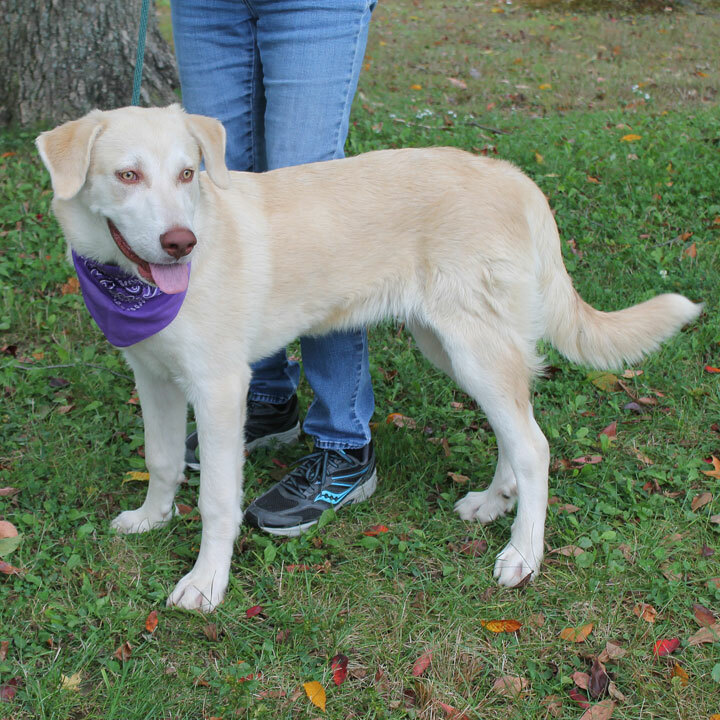 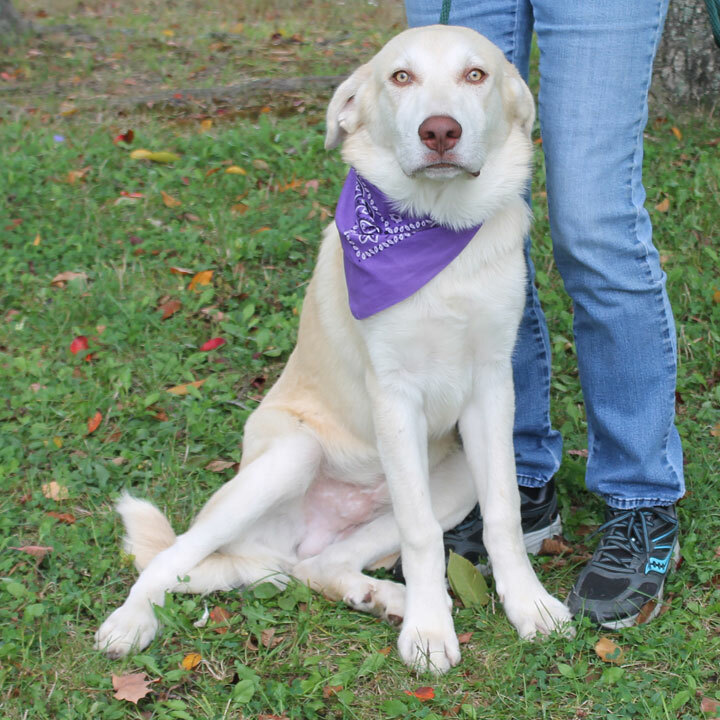 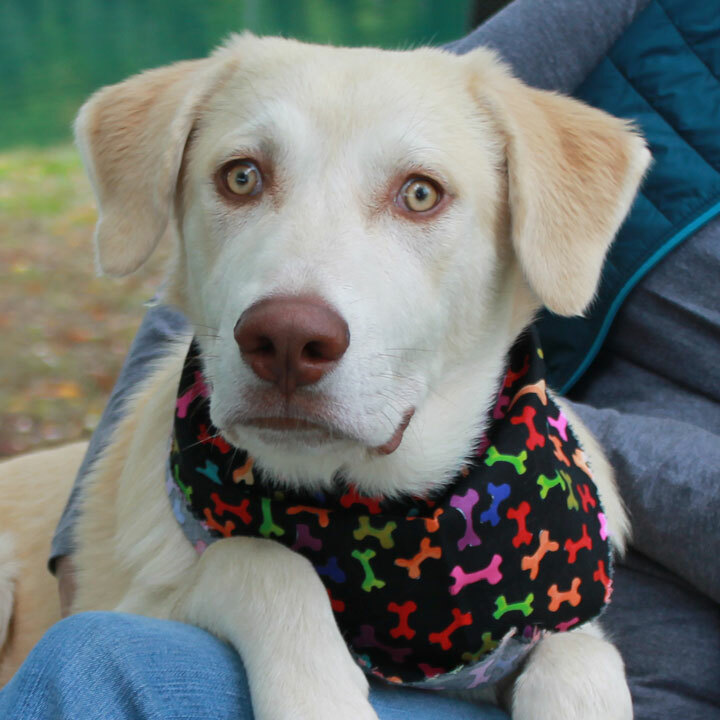 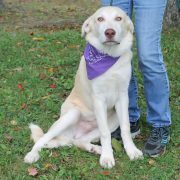 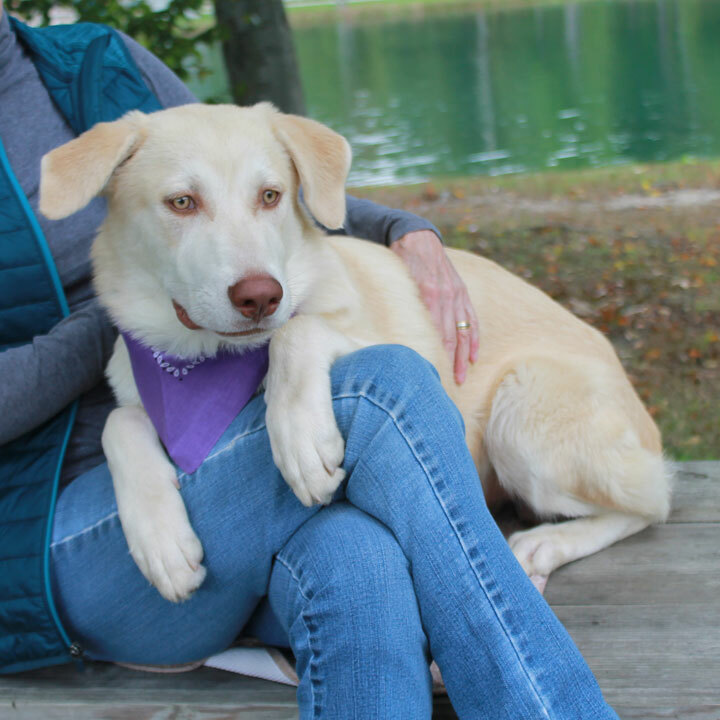 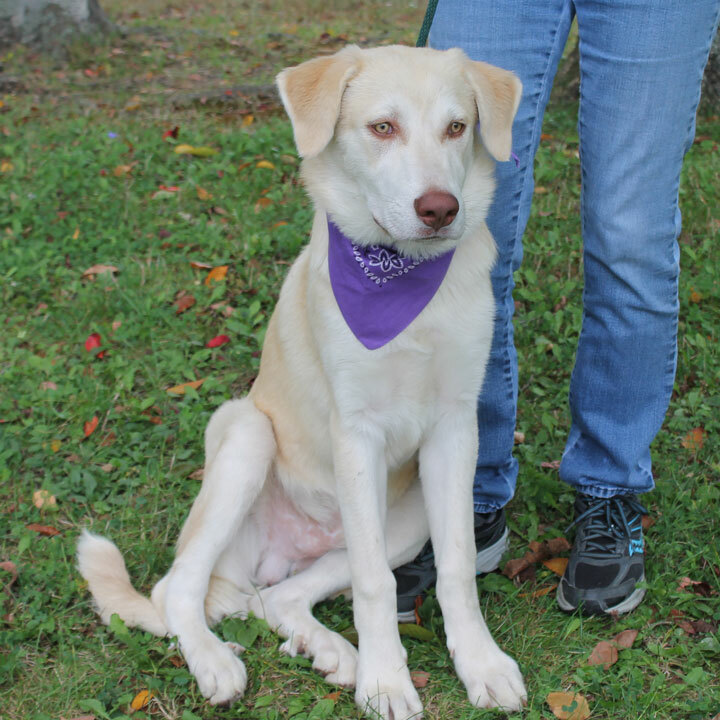 Rusty is a friendly and outgoing 1 year-old Lab/Great Pyrenees mix neutered male who was found as a stray and brought to an overcrowded county dog shelter. 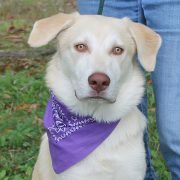 When he wasn’t claimed, he made the trip to Canine Lifeline so he could take his time finding a great new home. 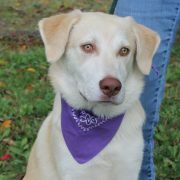 Rusty is a very sweet boy who gets along beautifully with other dogs and seems to enjoy meeting new people. He’s an active boy but not hyper and likes to chill out in his crate after playtime is over. Rusty has been the perfect guest in his foster home—excellent crate manners with no accidents so he should be able to pick up the house rules quickly in his new home. 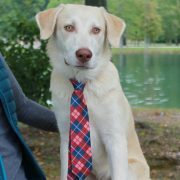 He will need some work on the leash but he’s eager to please and soon should be walking like a pro. 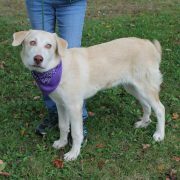 Rusty would do best in a home with another canine pal and a yard with an aboveground fence. 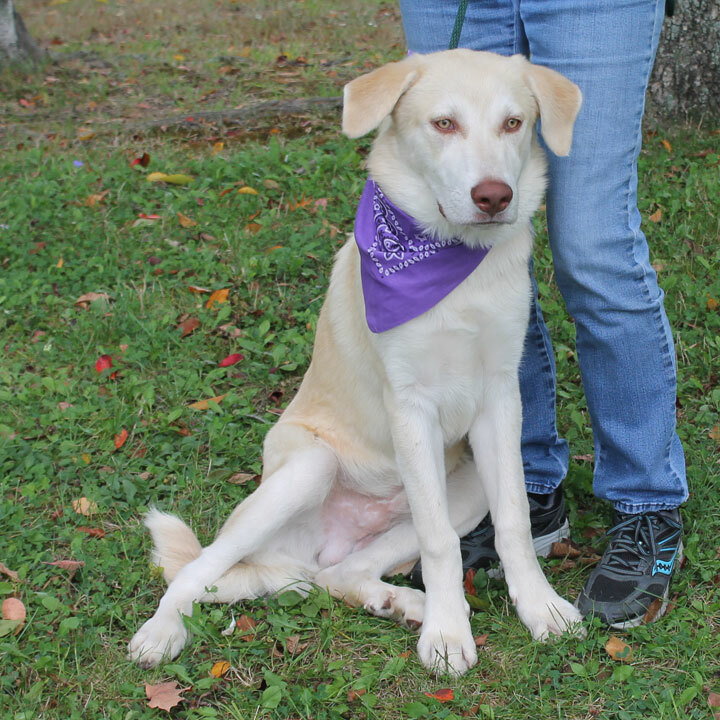 As a young dog, he would thrive in a home where his family is able to spend a lot of time with him. 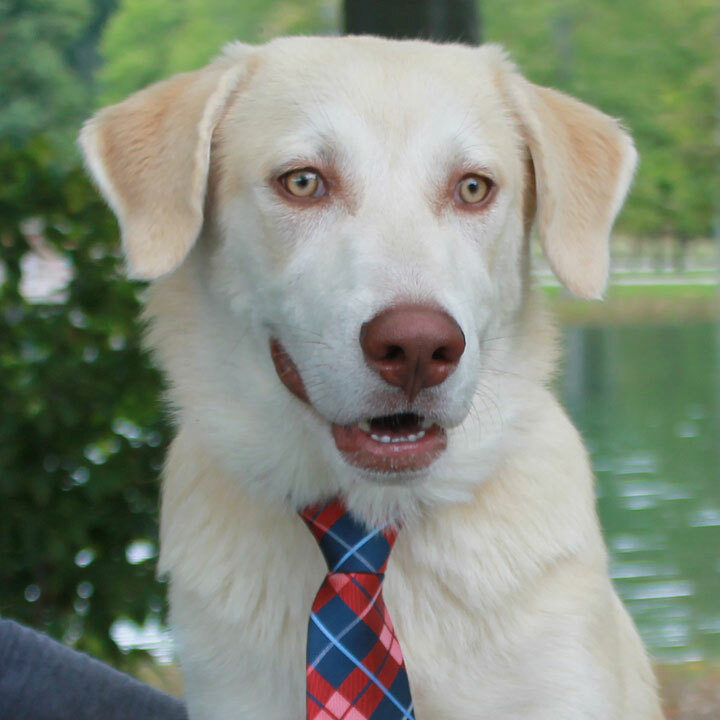 He wouldn’t enjoy being left home alone for long workdays. 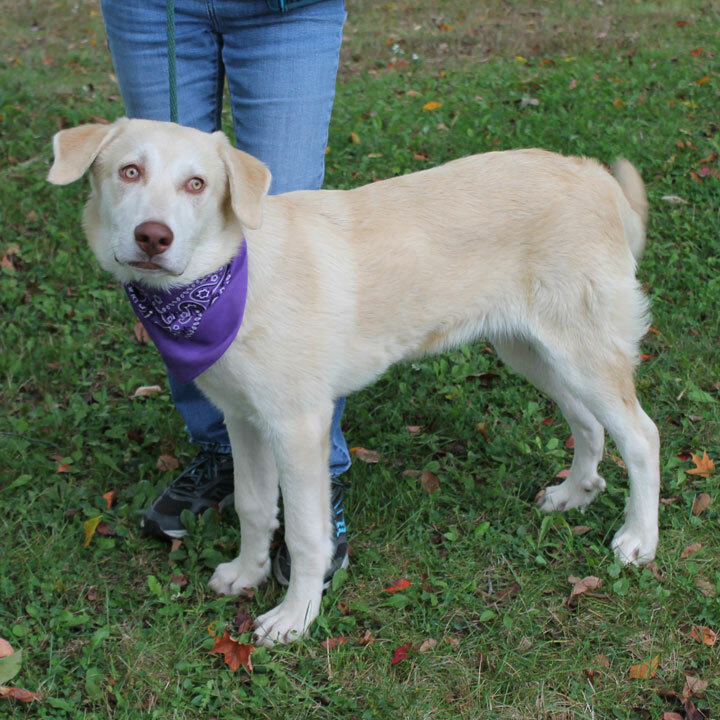 Rusty weighs about 55 pounds but is likely to be 65-70 lbs once he reaches his ideal weight. His adoption fee is $250. He’s neutered, heartworm negative and on monthly preventative, up to date on vaccinations including bivalent canine influenza, wormed, on flea and tick preventative, and microchipped. As part of the adoption process, all adopters must commit to a two-week adjustment period to make sure it’s a great match before the adoption is finalized. 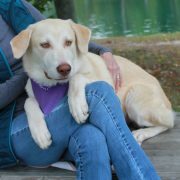 Please email info@caninelifeline.org if you’re interested in Rusty. 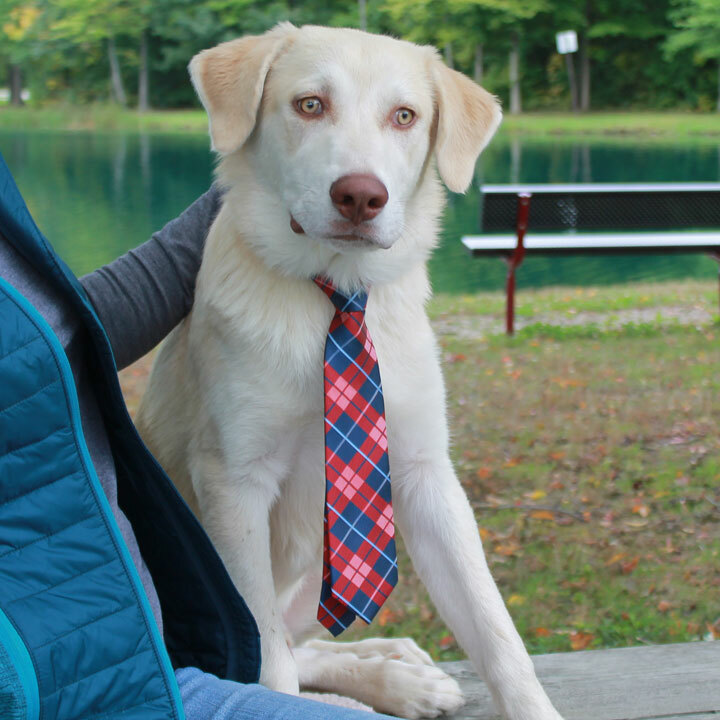 An approved application is required before we schedule meets with any of our dogs. We have no foster homes with young children so aren’t comfortable placing any of them in a home with children less than 7 years of age. 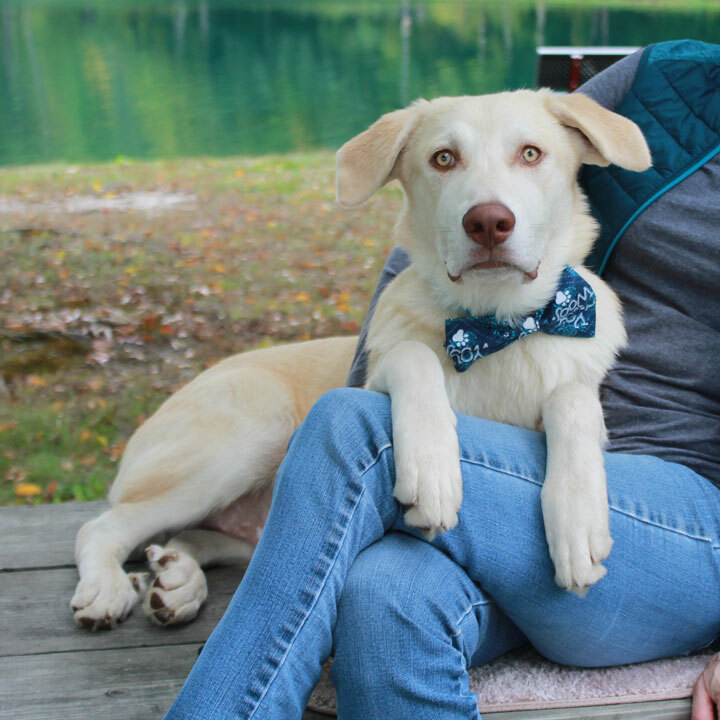 We try to respond to inquiries within 72 hours so if you haven’t heard from us within that time frame, please check your junkmail or spam folder to make sure our reply hasn’t landed in there.